The library has two meeting room spaces. The 1st Floor Bunday meeting room seats 65 and is available to reserve by any nonprofit group up to three months in advance. There is no charge for using the Bunday Room by nonprofits if their events are open to the public, and do not charge for entrance. Nonprofit groups that host events closed to the public and/or charging an entrance fee will be assessed a charge of $25 per hour with a maximum charge of $100 per day by the library. Here is our meeting room policy. 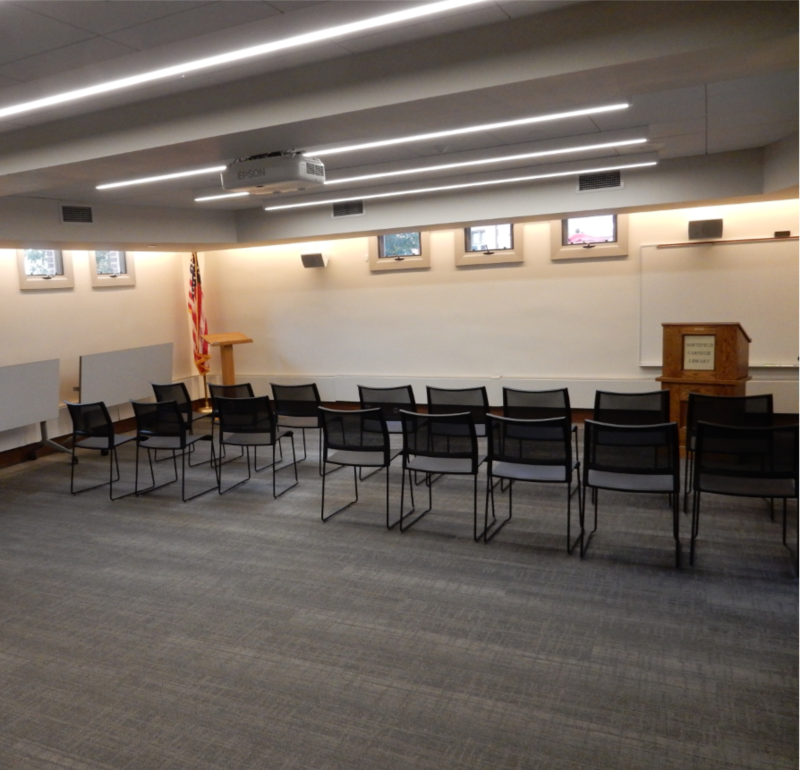 One smaller conference room on the 2nd floor of the library is available for nonprofit use free-of-charge. It may also be used by individuals for study or free tutoring. This room is available for walk-in use unless there are conflicting reservations. None of the rooms are available for reservation on Sundays. Please inquire at the upstairs Help Desk for further information.